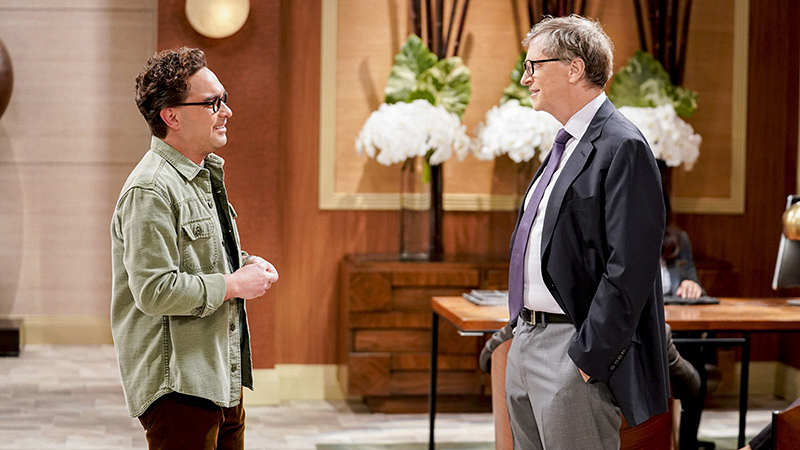 Here's Your First Look At The Big-Name Guests Coming To Young Sheldon And The Big Bang Theory TBBT welcomes Bill Gates, then Jason Alexander stars as Sheldon's drama teacher, Mr. Lundy, on Thursday, Mar. 29. Beloved Thursday night comedies The Big Bang Theory and Young Sheldon always offer a high caliber of guest stars, and next week is no exception! First, as you may already be aware, renowned tech billionaire and Microsoft founder Bill Gates is slated to make a special appearance as himself in an upcoming episode of The Big Bang Theory, titled "The Gates Excitation," which airs on Thursday, Mar. 29 at 8/7c on CBS and CBS All Access. Penny (Kaley Cuoco) gets the opportunity to host Bill Gates at work when his company wants to partner with her pharmaceutical company. Also, Leonard (Johnny Galecki), Koothrappali (Kunal Nayyar), and Wolowitz (Simon Helberg) do everything in their power to meet him, while Sheldon (Jim Parsons) thinks he is the victim of an April Fools' prank. Later, in a Young Sheldon episode titled "Killer Asteroids, Oklahoma, and a Frizzy Hair Machine" (which airs on Thursday, Mar. 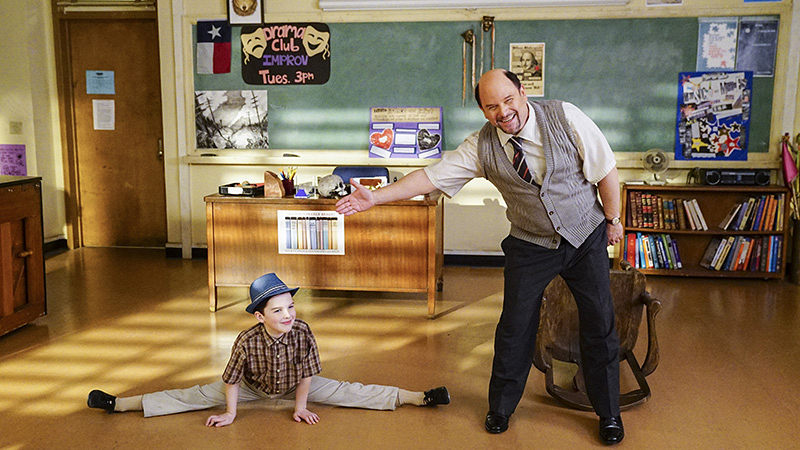 29 at 8:30/7:30c on CBS and CBS All Access), renowned comedic actor Jason Alexander guest stars as Sheldon’s drama teacher, Mr. Lundy. Plus, a disappointing loss at the science fair sends Sheldon's life in a new direction. Will Leonard, Koothrappali, and Wolowitz get a chance to chat up their hero? And will Sheldon recover from his bummer of a science fair? Watch all-new episodes of The Big Bang Theory on Thursdays at 8/7c on CBS and CBS All Access. Watch all-new episodes of Young Sheldon on Thursdays at 8:30/7:30c on CBS and CBS All Access.